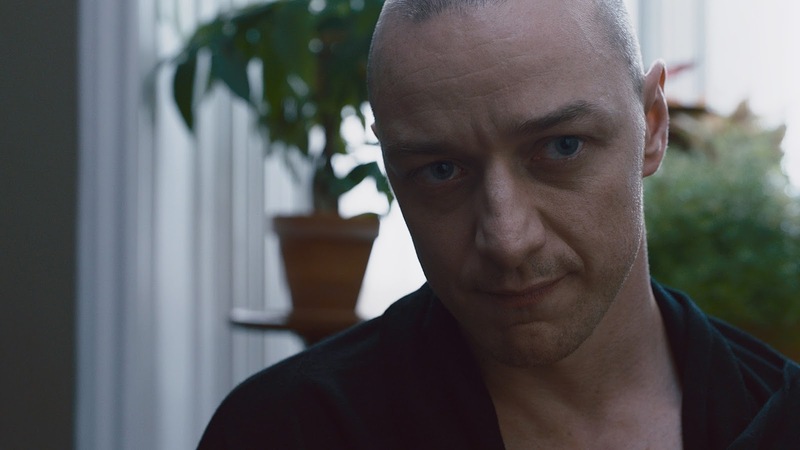 Split is by no means the worst film M. Night Shyamalan has ever made but that’s hardly saying something. As dumb and eccentric as one would expect, Split centres around three teenage girls kidnapped by Kevin, a man with 23 separate personalities. Confined to a windowless room in a mysterious underground lair with seemingly endless lines of sinister industrial pipes, the trio find themselves visited by many different people, all within one body. Some of Kevin’s personas mean them grave harm where others are friendly and peaceful. Through manipulation of the more innocent identities, the captured teens must find a way out of their concrete prison before they’re met by the most evil of all Kevin’s personalities – the beast. Far from both the greatness of The Sixth Sense and the disastrous levels of The Happening, Split remains an undeniably Shyamalan film in so many ways – bang in the middle of the road. At the film’s heart is a staggering performance from James McAvoy but there is nothing else left to offer the supporting cast. A tragically wooden script is delivered by several bewildered supporting actors; doing their best with so very little. Anya Taylor-Joy whose brilliance we witnessed in The Witch only last year, gives a strong performance but in many moments she’s left stranded thanks to the clichéd character development and bizarre lines of dialogue. Weak characters and absurd dialogue are to some degree what has given M. Night Shyamalan his cult following. All the traditions of his earlier filmmaking is present here including his personal, cringe-worthy cameo. McAvoy is astounding in the lead and in many ways his performance is deserving of a much classier movie. All other characters are stuck firmly in the Shyamalan universe with blank expressions and contrived plot devices sprinkled throughout. As always, what begins as a promising idea, descends into baffling chaos as the director can’t help but go too far. 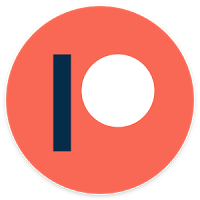 What begins as a psychological horror morphs into something much more disappointing in its final quarter. Staggering down the wrong path in the final 45 minutes, Split comes to a controversial end that’s likely to thrill the director’s super-fans but will confuse and exasperate most. I enjoyed a score far subtler than the film it’s accompanying. The film’s music captures the echoing horror of the young girls’ prison and also heightens the film’s tension. 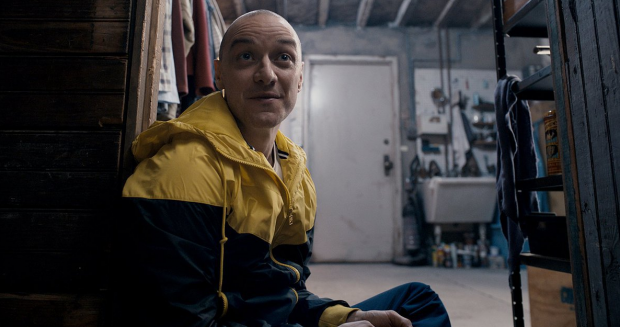 Split is a fantastic portfolio piece for McAvoy but is a film that quickly spins out of control. Eye-rolling dialogue and weak plot that thinks itself clever makes Split an embarrassing show by a director who just can’t be reigned in. Tags: Anya Taylor-Joy, Cinema, Cult, film, Film Review, Horror, James McAvoy, M. Night Shyamalan, Movie, Movie Review, Performance, Review, Split, Thriller. Bookmark the permalink. Previous post ← La La Land.